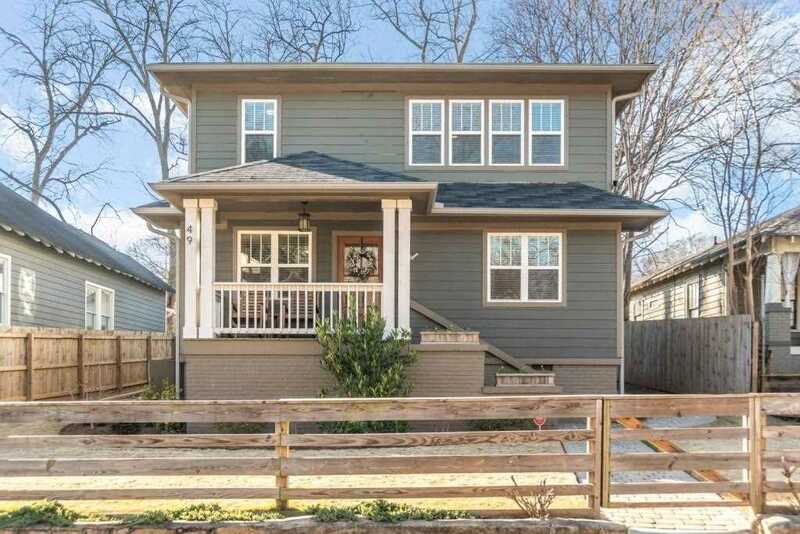 Fantastic Renovated Craftsman in Prime Edgewood location with amazing curb appeal. Hardwoods on main with 2 bedrooms & full bath that make great office space. Kitchen has SS appliances, center island, granite counters, opening to spacious family room with shiplap wall. Upstairs is oversized guest bedroom with en suite bath. Spacious master bedroom has huge walk in closet, updated bath with dual vanity & tiled walk in shower. Landscaped back yard has paver stone patio, Detached 1 car garage, & extra off street parking. Don't miss the massive storage space under house! Directions:From S Ponce de Leon Ave NE, Left onto Clifton Rd, Right on McLendon Ave, Left on Oakdale Rd, turn on Whitefoord. Street parking on George W Brumley. SchoolsClick map icons below to view information for schools near 49 Whitefoord Ave SE Atlanta, GA 30317.